NEWPORT BEACH, CA-- Westminster Teak plans to participate at the 37th Annual Lido Boat Show in Newport Beach, California. "Since our move to Orange County at the beginning of the year, we've planned to get more involved with local events which will give us an opportunity to get to know the people and businesses firsthand", says Freddy Fluchel, VP of West Coast Operations. "It only makes sense for us to show some of our furniture collections which are perfectly suited for the boating industry where "real estate" on the boat is everything. They're designed to fold flat, easy and light enough to put away, and look elegant and sophisticated anywhere, not just for the 75 ft yacht!" Located in Lido Village in Newport Beach, the Lido Boat Show is in its 37th year running. The show is designed specifically to attract big boat and yacht customers, with more than 200 vessels to be on display. The show also exhibits vendors of gear and products related to the yacht and boat industry, such as teak furniture. 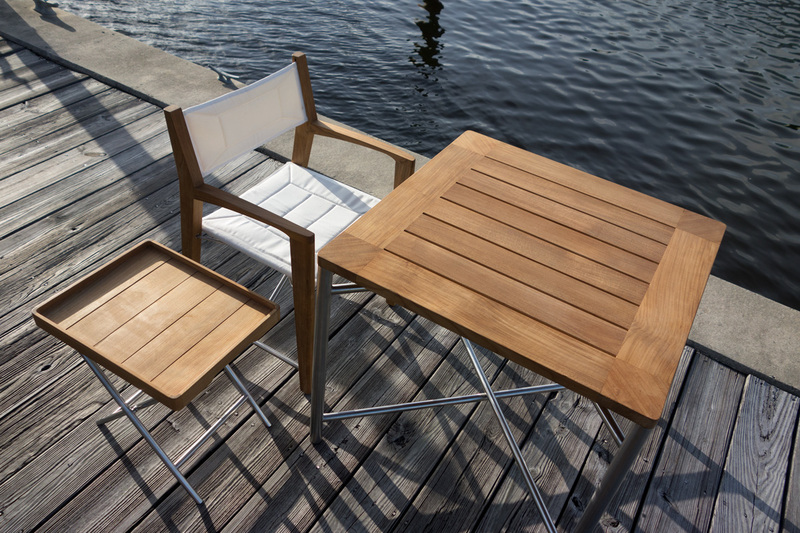 Because of teak's natural resistance to water, moisture, and mildew, teak furniture is highly valuable to waterfront home owners and luxury boat owners alike. Teak wood has historically even been used to build boats. Westminster Teak will be displaying items designed with a nautical lean. One collection includes the new Odyssey Collection, a set featuring all folding teak and stainless steel furniture, complete with a table, stool, and a reimagined Director sling chair. The Surf folding chair, also a new piece designed exclusively for Westminster, will make a debut. The Danish modern Horizon Armchair and the Kafelonia Club Chair will be on display as well. The Lido Boat Show will take place September 17-20, 2015. Admission prices are $15 per adult. Children 12 and under, free. Visit their website to learn more. See you in Newport Beach! We will be at Booth E-513!